PopCap isn’t exactly being adventurous with their first foray on the Vita in terms of fully utilizing the handheld’s features, but neither are some of the other ports/sequels in the line up. 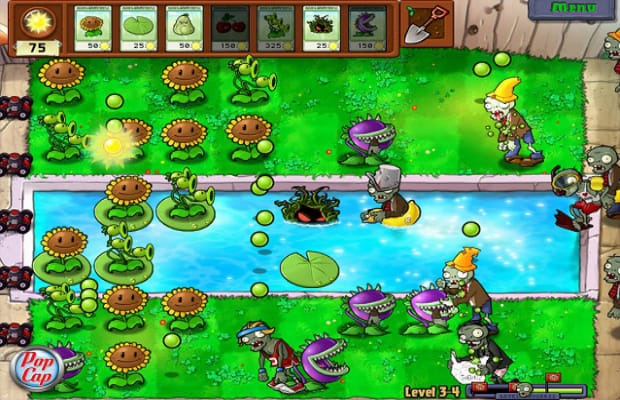 Not that’s a bad thing for their popular Plants Vs. Zombies series. This is essentially the PSN version, but now thanks to the touch interface, we get the same kind of finger-based conveniences that folks have enjoyed on the iOS devices. As the Vita’s screen is larger than an iPhone’s, this handheld performs like a champ in helping you manage your dense grid of plants as they maintain their assault on the undead. The only last minute change I’d like to suggest is the option to have both touch and manual controls active at the same time; currently you have to choose one or the other. Nevertheless, it’s an addictive and welcome addition to the Vita launch.